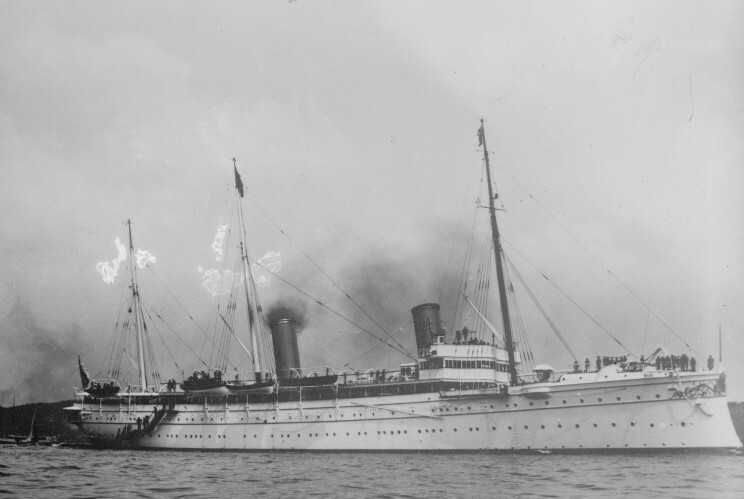 SMS Hohenzollern, date and location unknown. 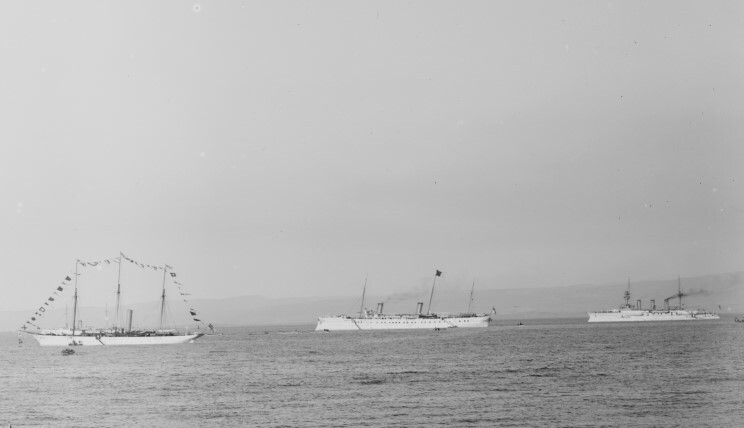 October 25, 1898: SMS Hohenzollern (center), SMS Herta (right) and two unidentified ships (left) seen at Haifa during Kaiser Wilhelm II's visit. 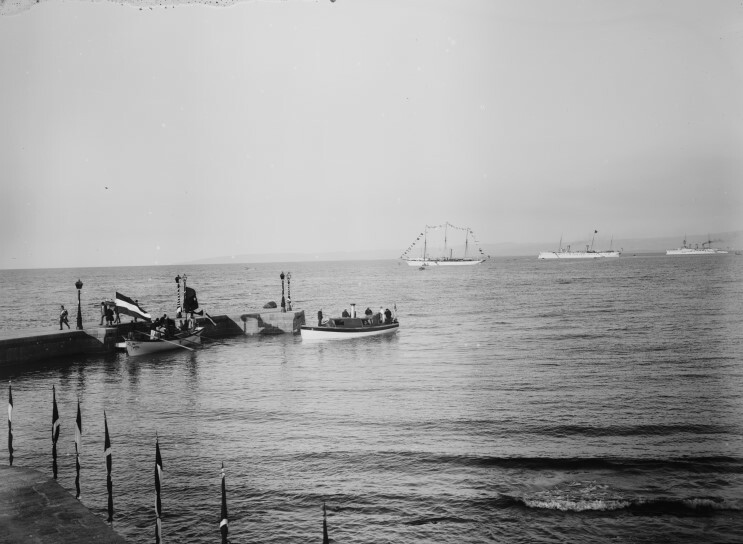 The motor launch carrying the Kaiser is seen at the dock. Close-up of the previous photograph. 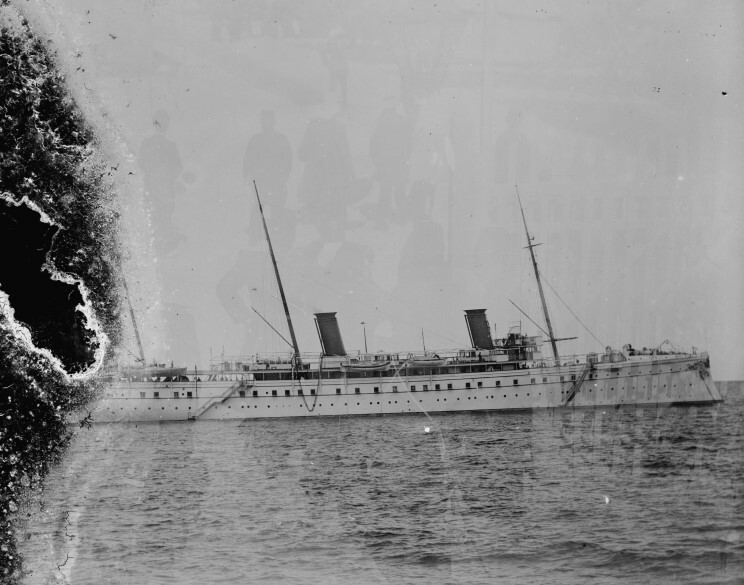 SMS Hohenzollern seen at Haifa in October 1898. 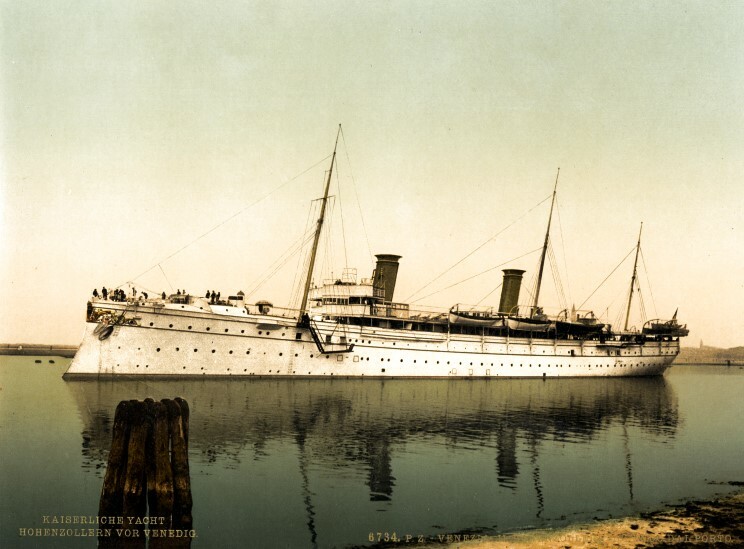 Monochrome print of SMS Hohenzollern in Venice, Italy during the late 1890's.